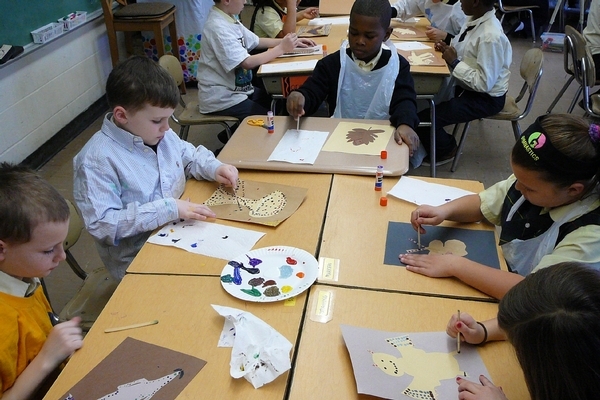 Grades K-8 have Art class once per week. 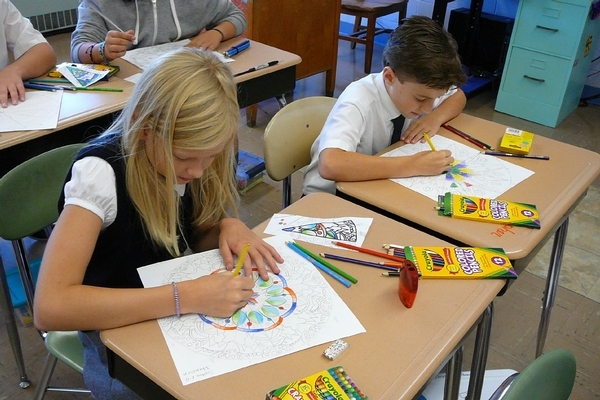 Art concepts such as color theory, shape, value, perspective, and proportion are taught at an age-appropriate level. 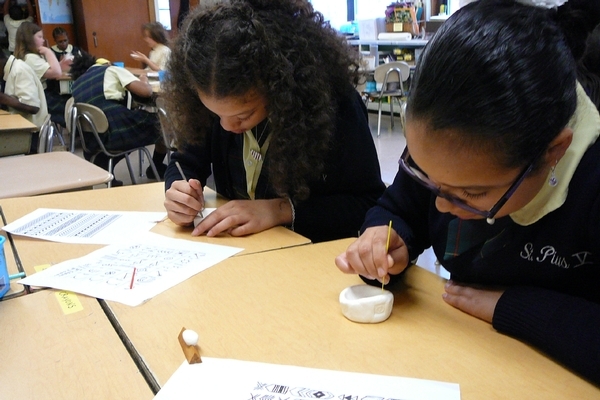 Students explore a variety of materials and techniques, and learn about art from different cultures and time periods. 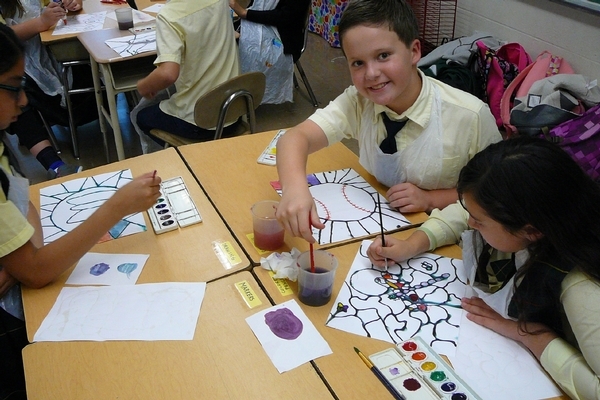 There are two Art Rooms at SPVS, one designated for grades K-4, and another for grades 5-8. 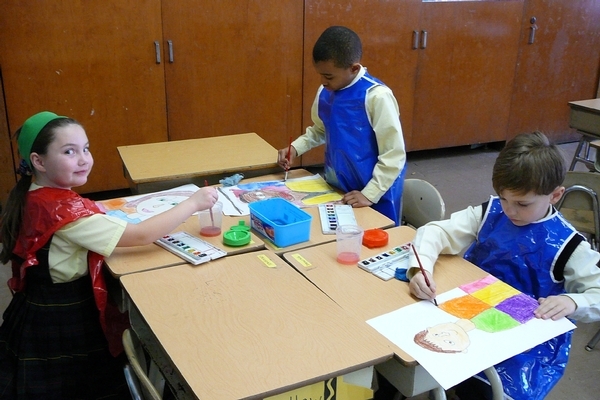 In addition to weekly art classes, students also have Art Appreciation class roughly once per month. 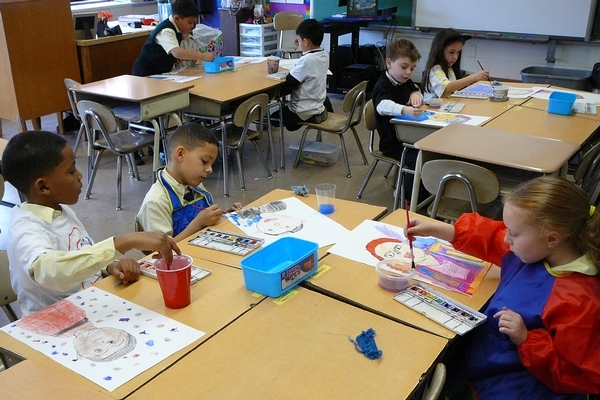 In Art Appreciation, students expand their understanding of art history by learning about specific artists and art movements. 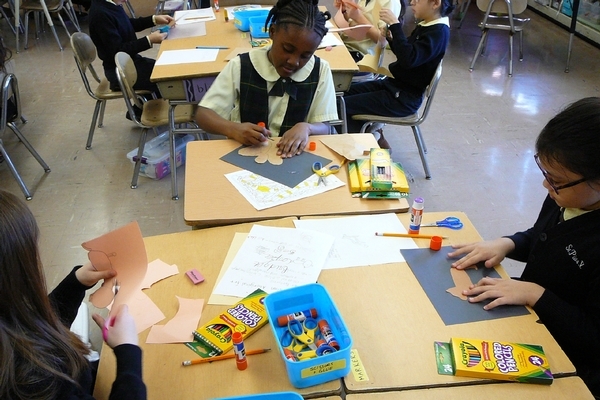 Every spring, one artwork per student is hung in an organized display in the school’s corridors during the annual Art Fair. 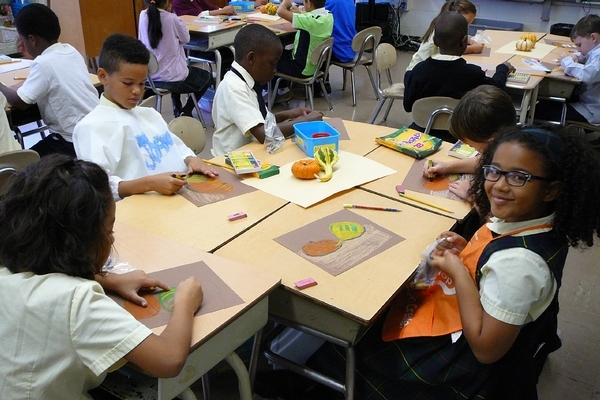 Students learn the process of choosing and preparing artwork for exhibition. Families are invited to view the Art Fair in the evening, with an accompanying Ice Cream Social! 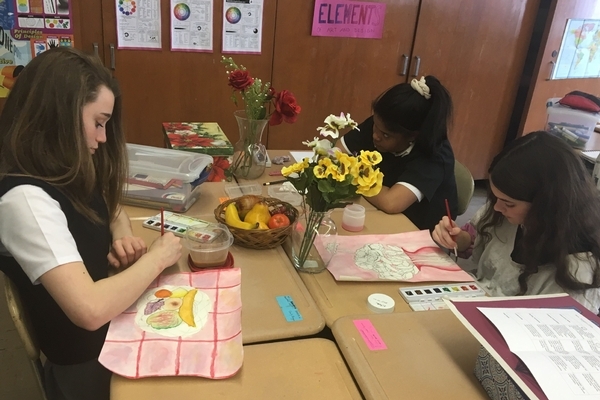 Students who wish to further pursue their interest in art have the option to join the extracurricular Art Club that runs after school once per week. 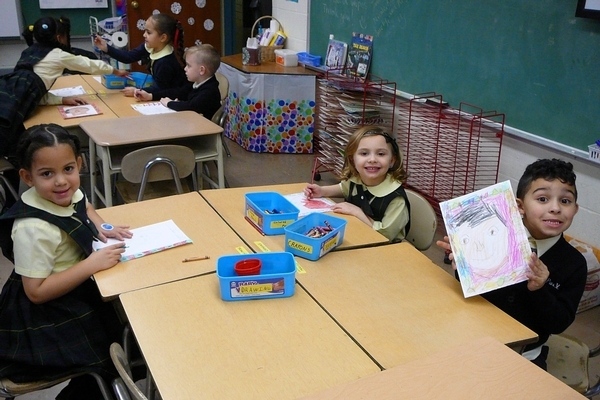 I have been teaching Art and Art Appreciation at St. Pius V School since 2008. I love sharing my passion for art with my students! I recieved my BFA in Art Education from Massachusetts College of Art and Design in 2007 and my MAT in Art from Salem State University in 2016. I enjoy all forms of art - drawing, painting, photography, printmaking, and sculpture! It is a pleasure for me to help students develop their art skills and express themselves through their artwork.